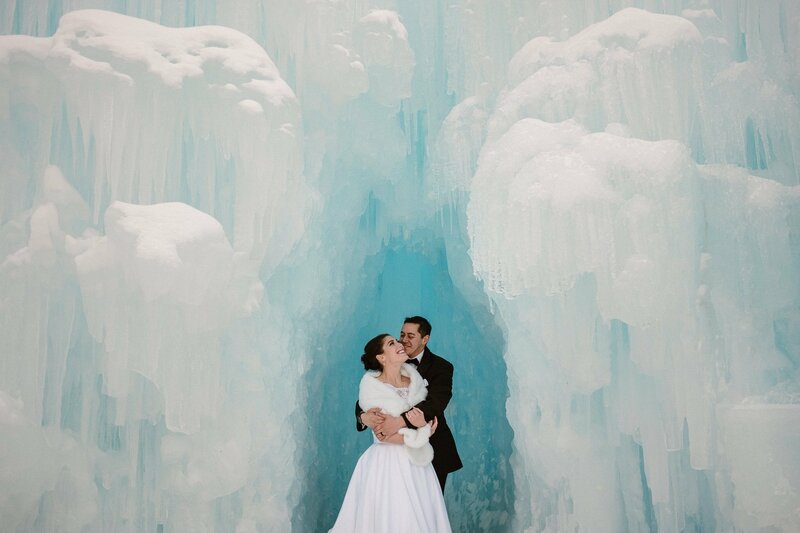 Hannah and Ashton first suggested doing Ice Castles wedding photos when we were hiking around in Rocky Mountain National Park for their engagement session last spring. 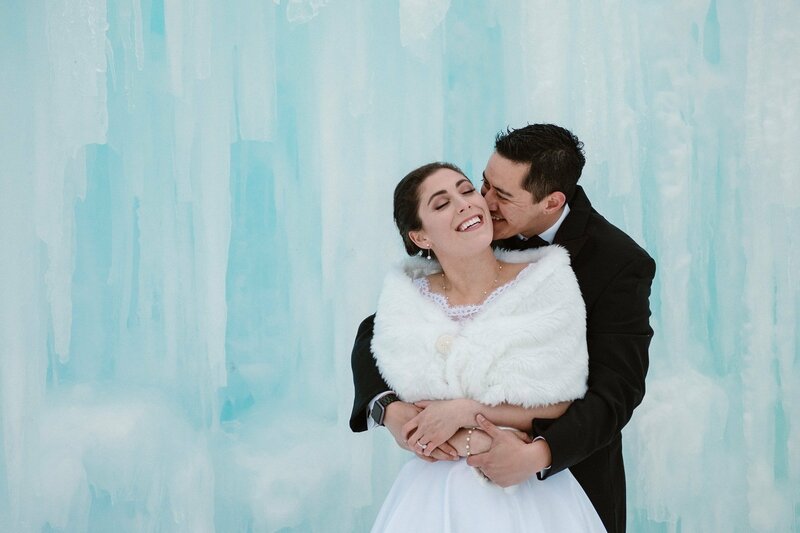 Since their Rembrandt Yard wedding didn’t give us enough time to do portraits in nature, it was the perfect way to get more variety of portraits in a super cool location – literally! 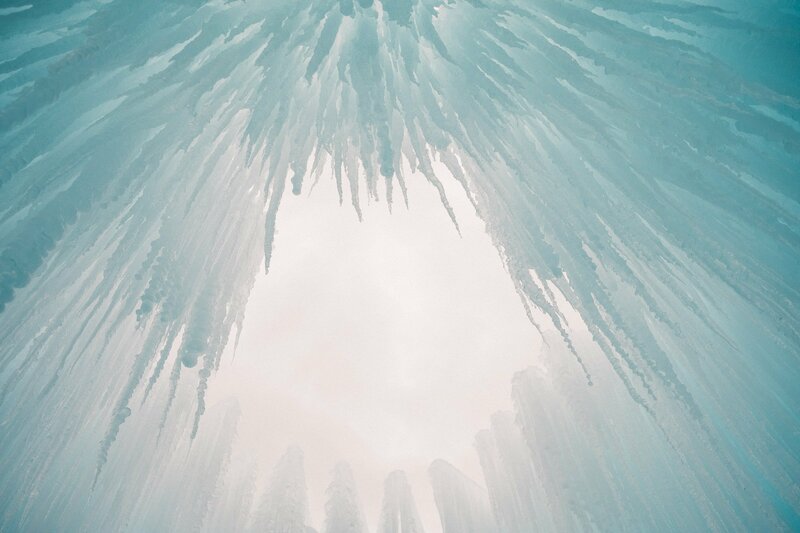 We weren’t sure if the Ice Castles would be back in Dillon again this year, but signed up for their email newsletter to make sure we didn’t miss out on any announcements. 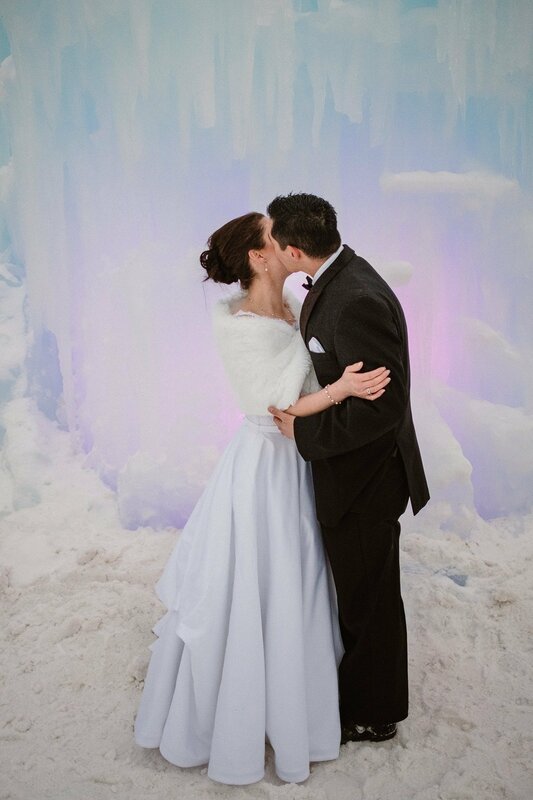 And when tickets finally went on sale, we jumped on that right away. 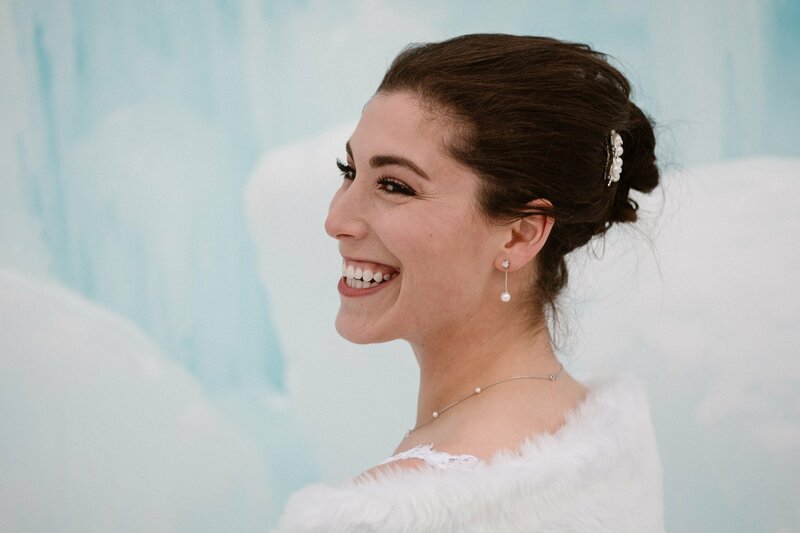 I’m so glad we did, because there were lots of people who tried to buy standby tickets at the gate that were turned away. 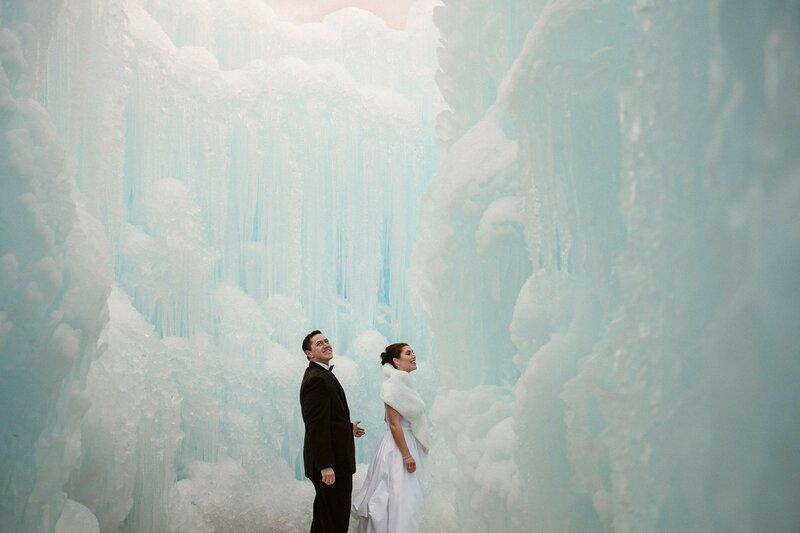 So if you’re planning on Ice Castles wedding photos of your own, or you just want to check out the coolest place in Colorado, definitely get your tickets online in advance! 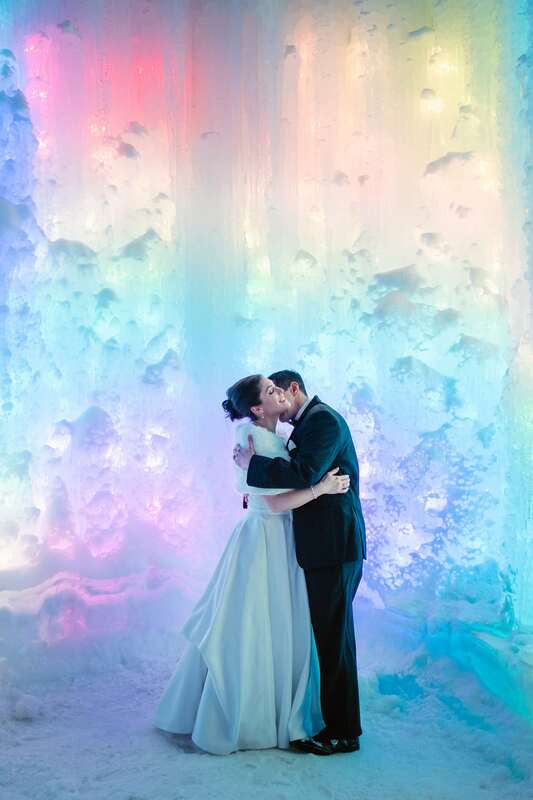 I had called in advance to make sure that we’d be able to do Ice Castles wedding photos, and luckily they were super nice about us doing a session there. 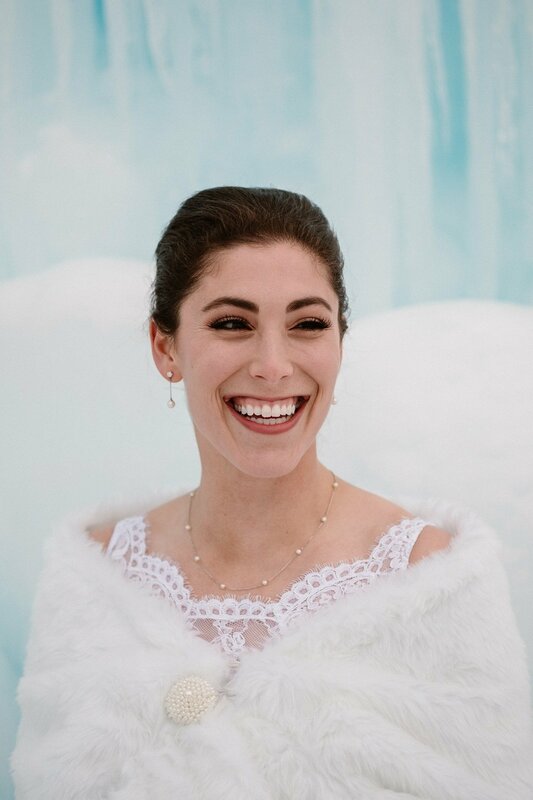 If you’re a photographer reading this, they do allow portraits sessions. 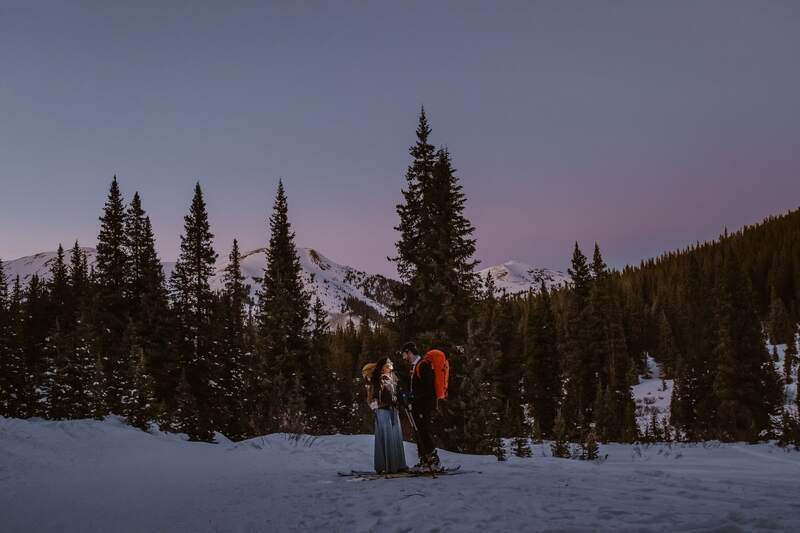 You just can’t bring flashes/lights, tripods, or anything like that, but if it’s just you and a couple and some cameras, you’re all good. 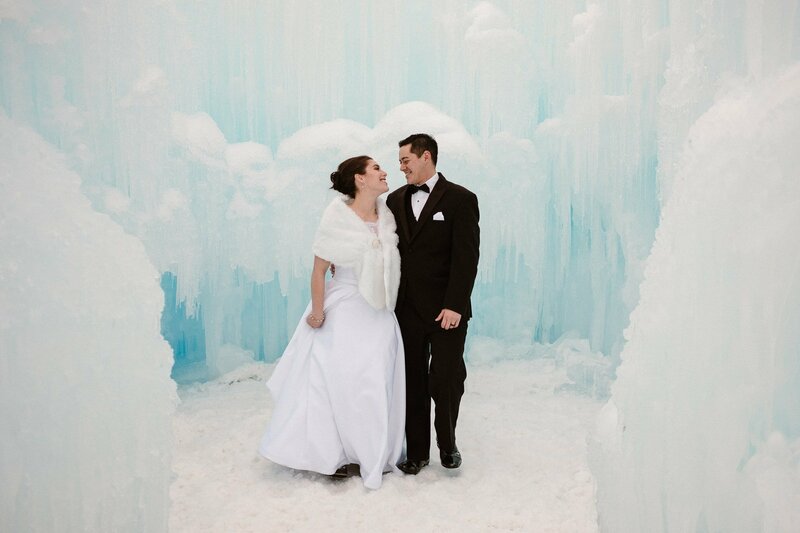 Just check in with the ticket people when you arrive to say you’re doing a portrait session. 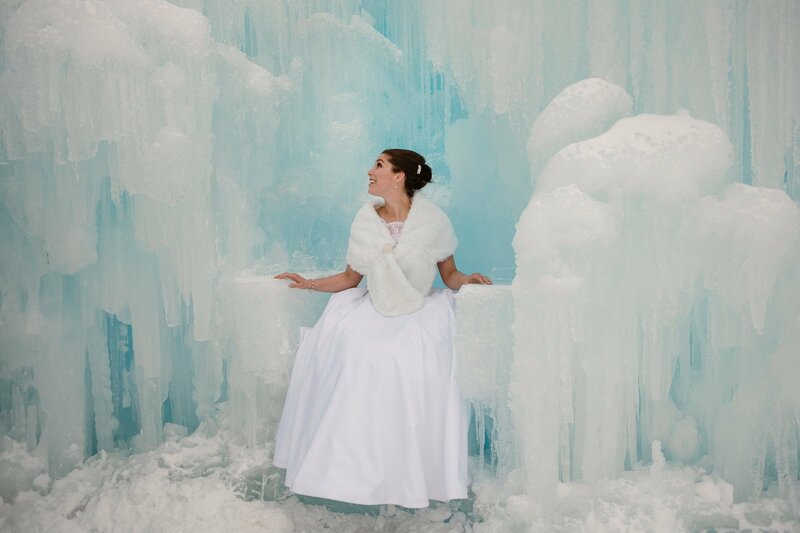 Based on all the photos I had seen on social media before our shoot, I knew it would be very busy up there. 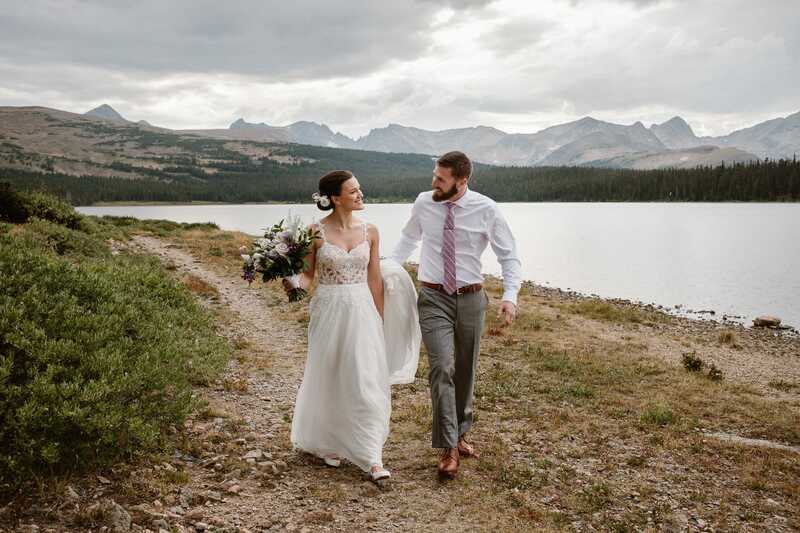 We tried to go on a less busy time, and headed up there on a Thursday afternoon for 4pm when they were opening for the day. 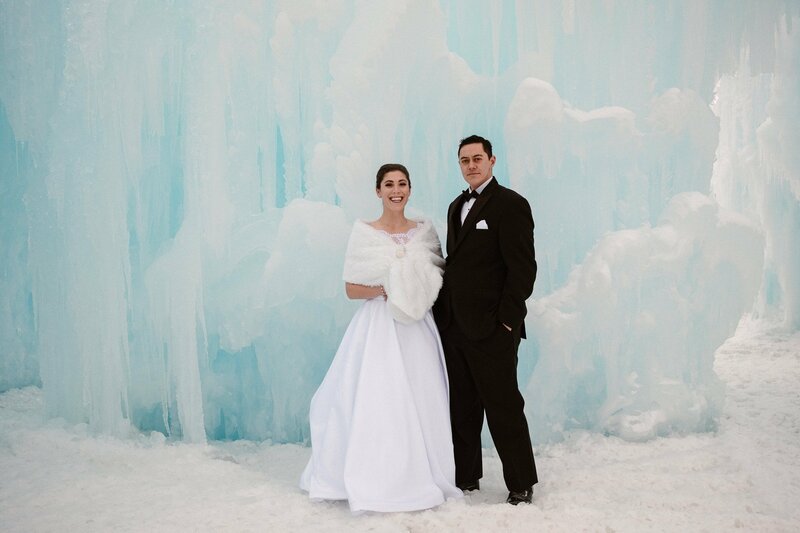 And while the timeslot was sold out, it felt like we had the place to ourselves for the first 15-20 minutes of shooting their Ice Castles wedding photos. 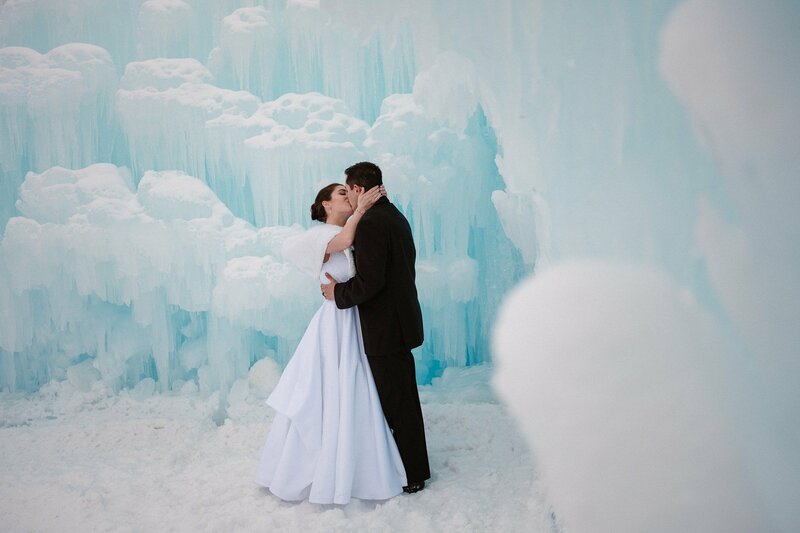 Then after 4:30pm, it got really busy, and we often found ourselves waiting in line to take photos in different places. 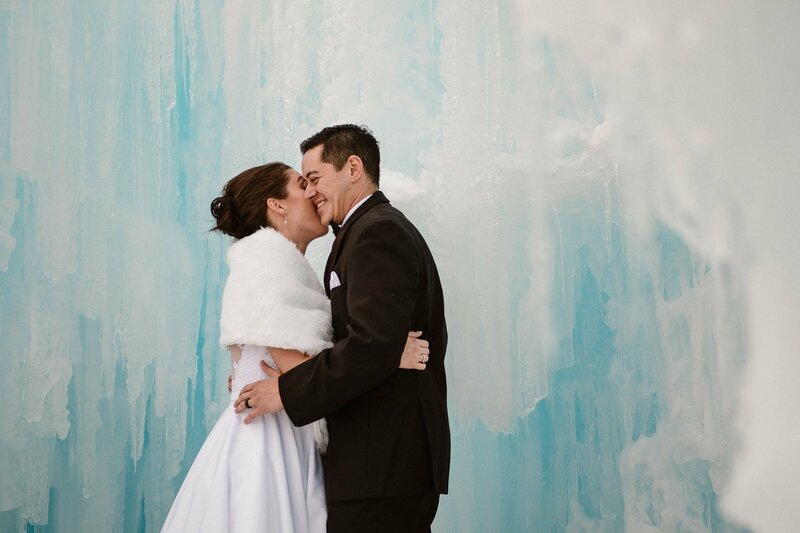 But despite the crowds, it was a ton of fun to shoot there! 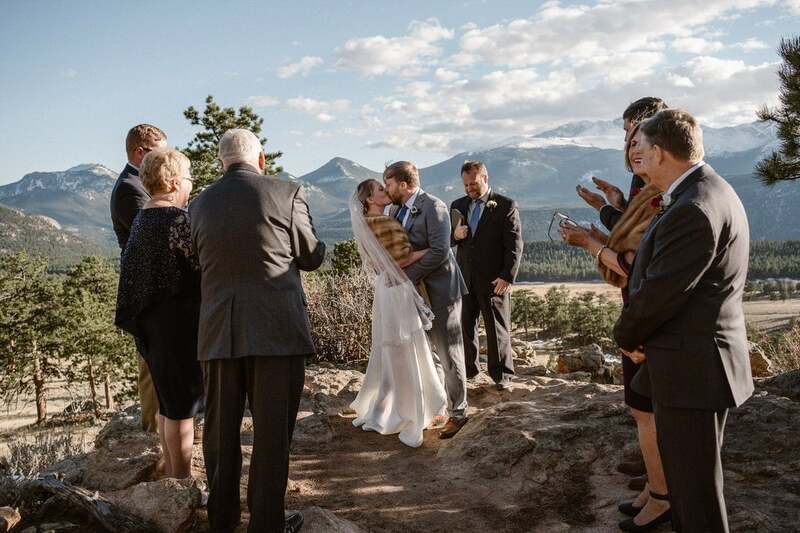 Everyone kept congratulating Hannah and Ashton, asking if they had just gotten married that same day (they did not). 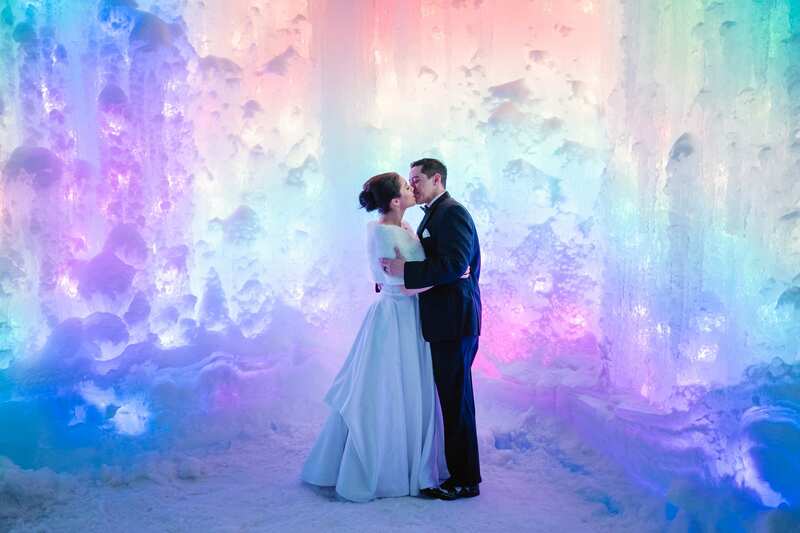 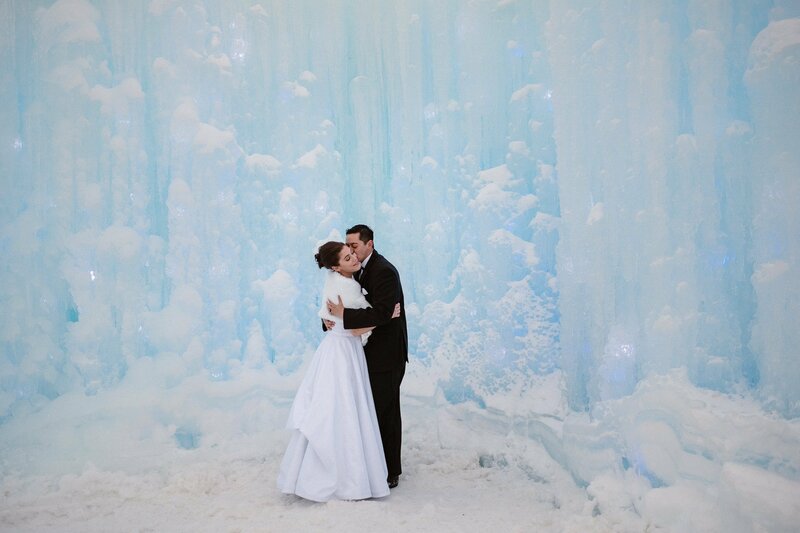 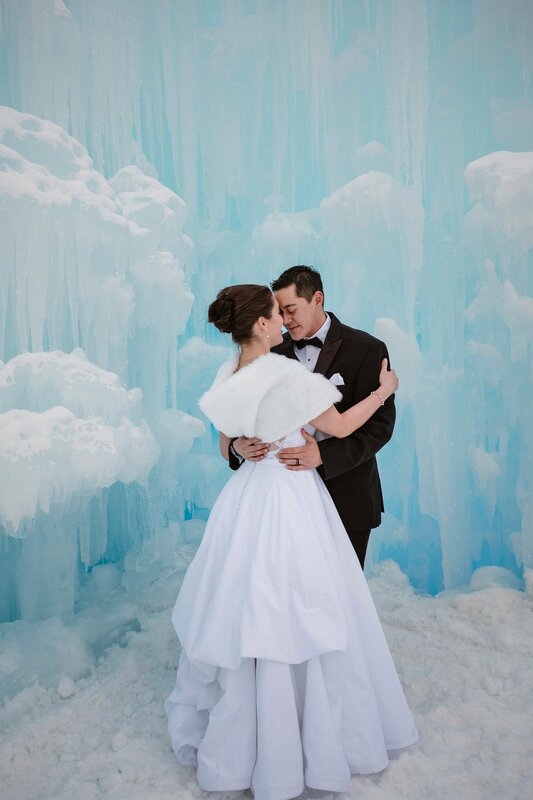 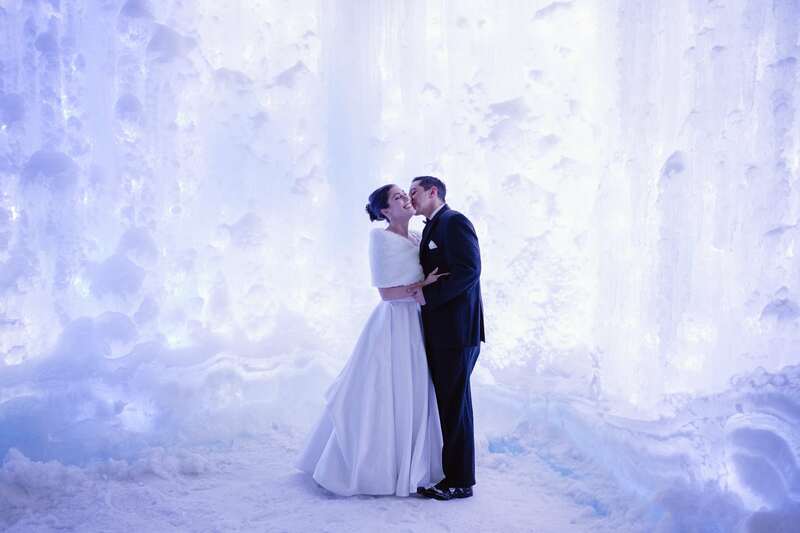 We even had strangers asking if they could take cell phone photos with the couple, which I still think is super weird but whatever 😉 It’s kind of hard to blend in when you’re doing Ice Castles wedding photos with a beautiful bride in her wedding dress and groom in a tux! 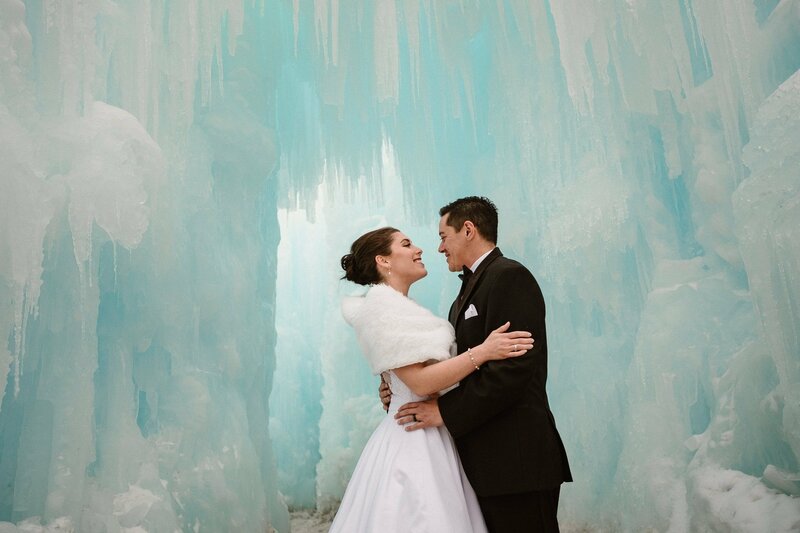 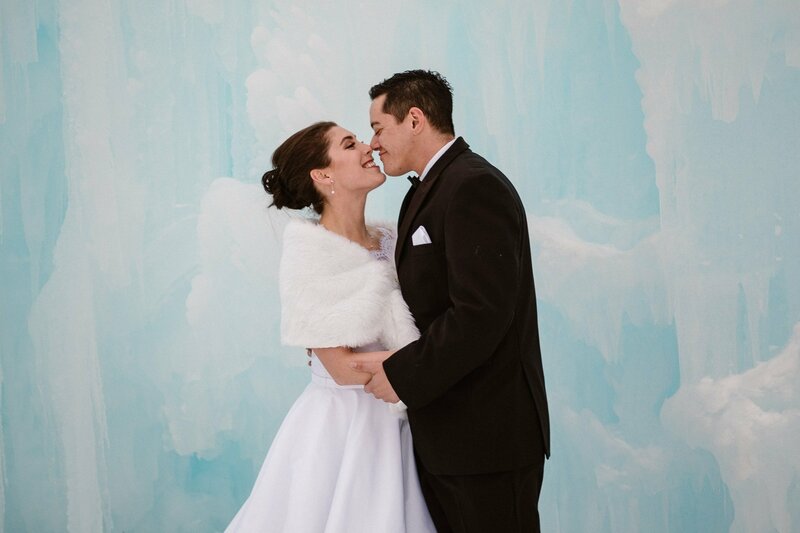 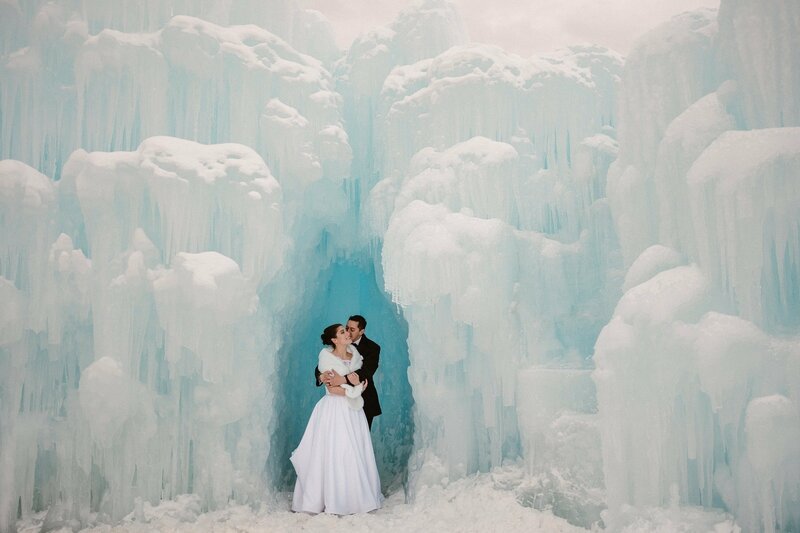 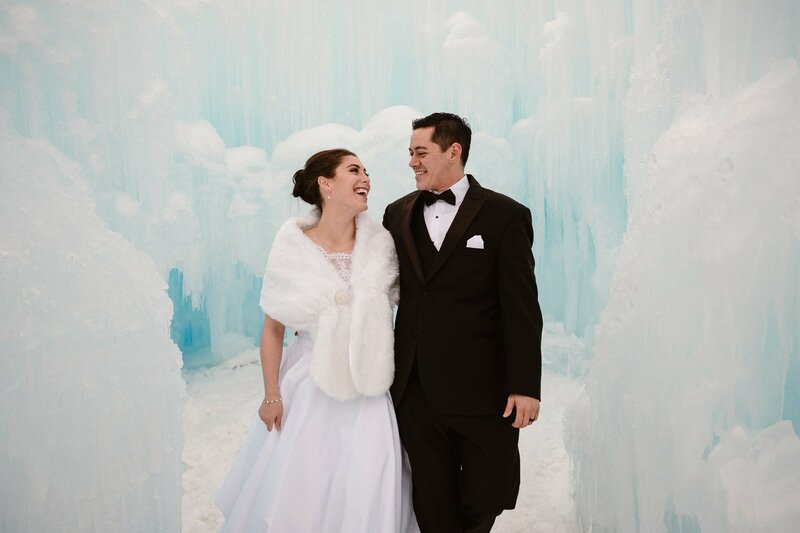 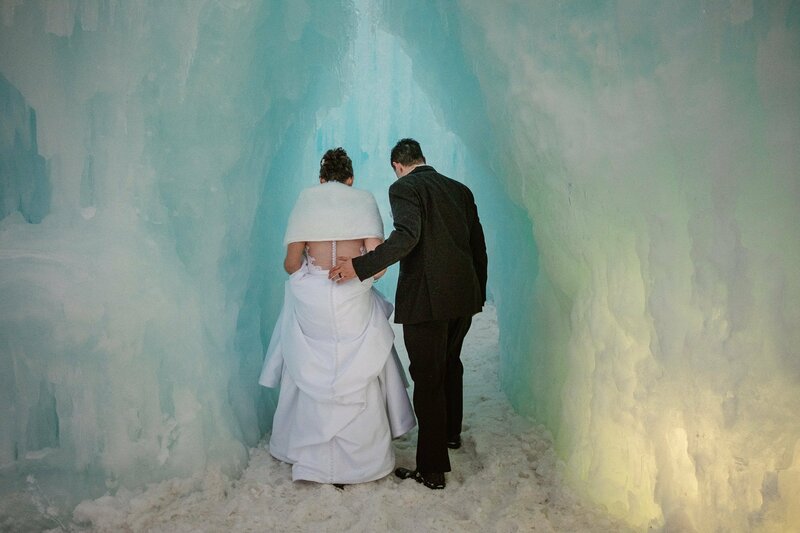 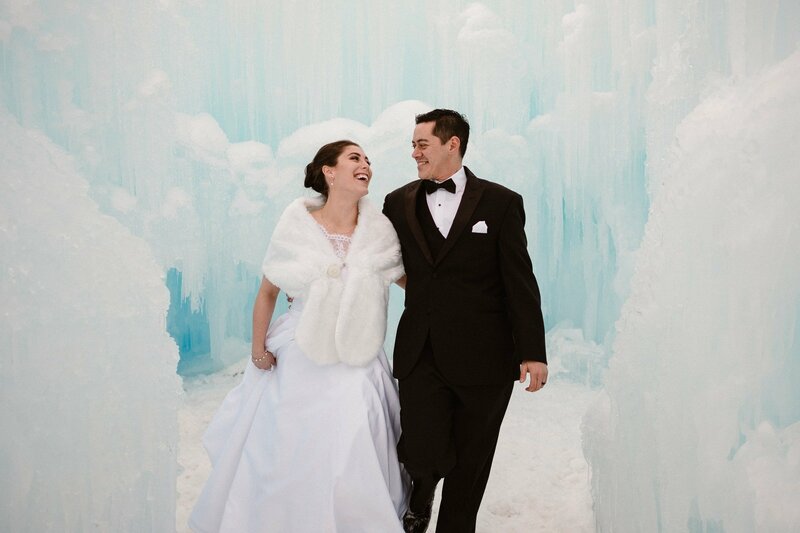 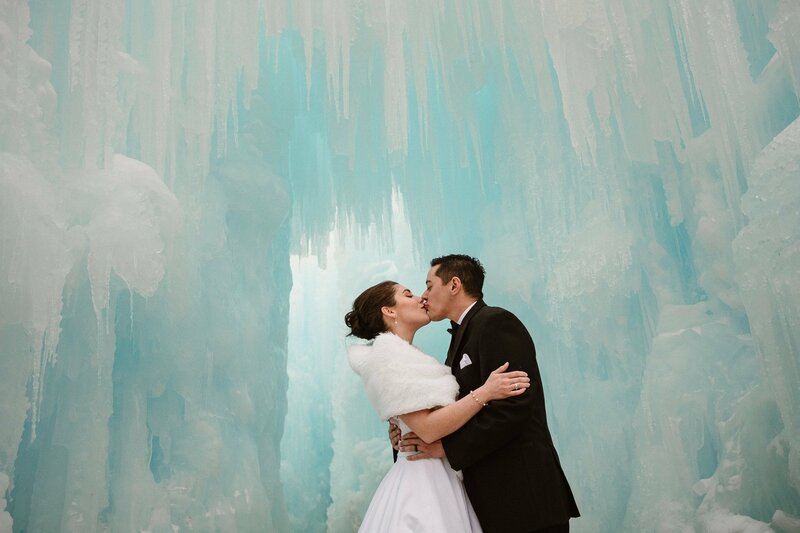 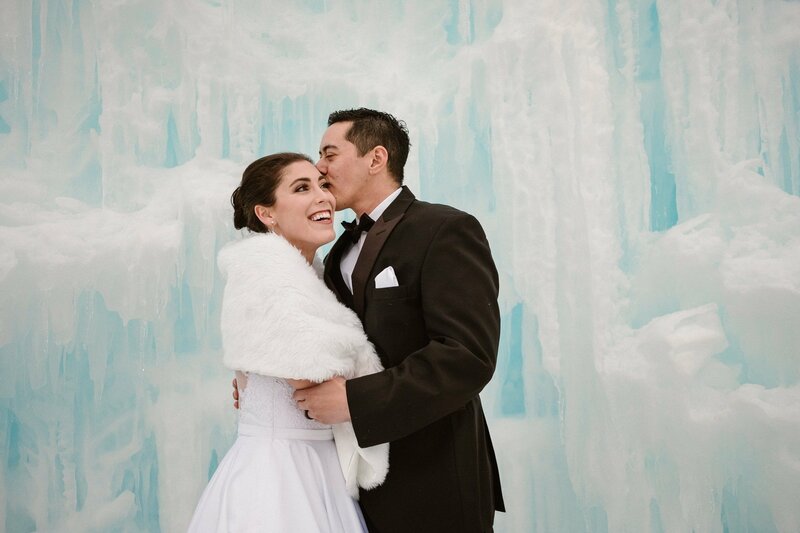 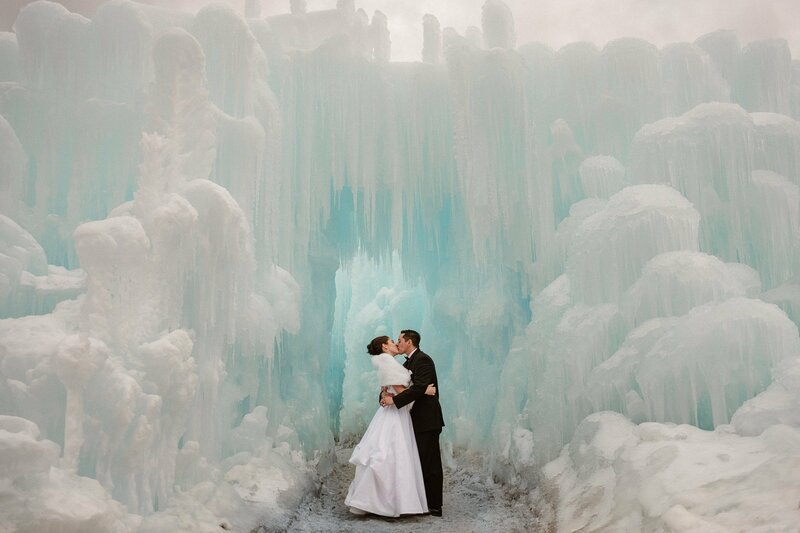 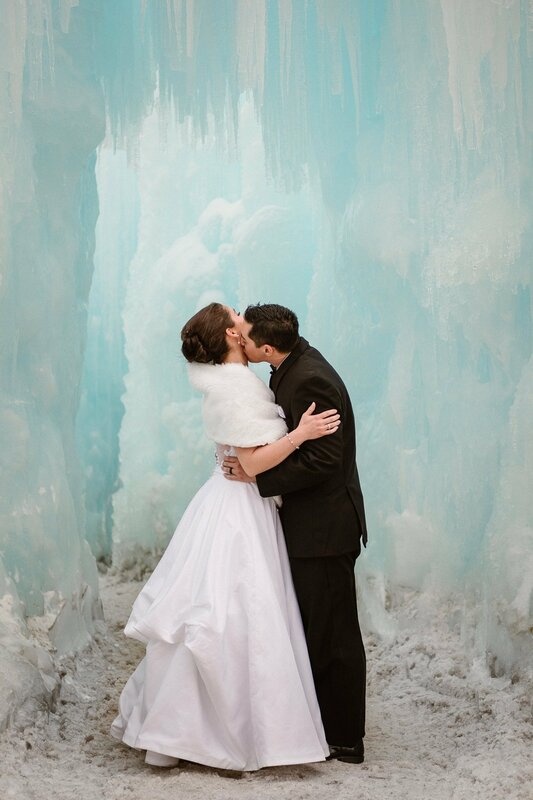 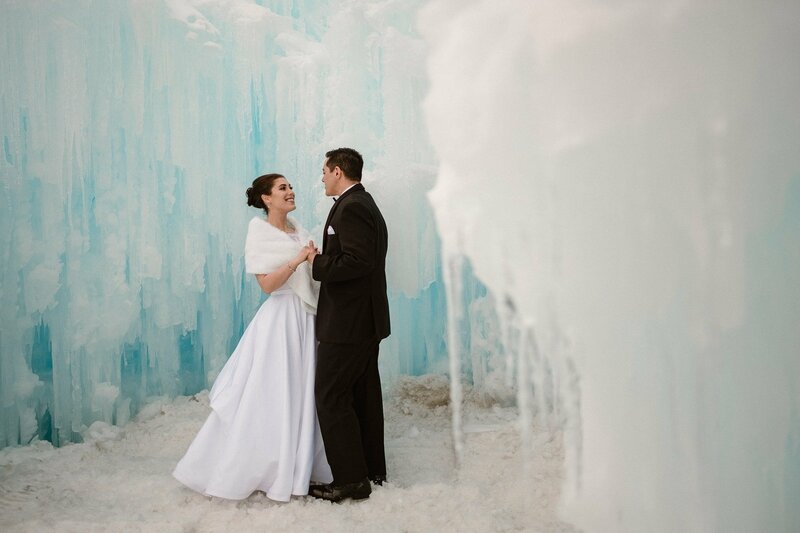 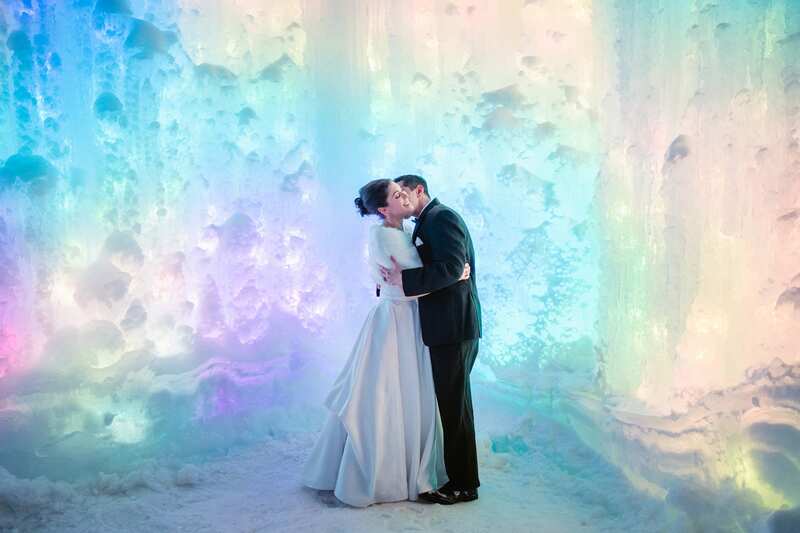 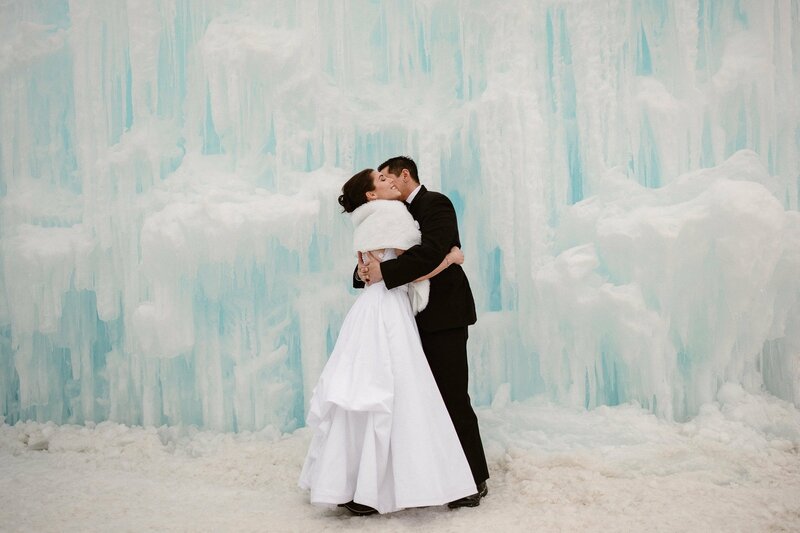 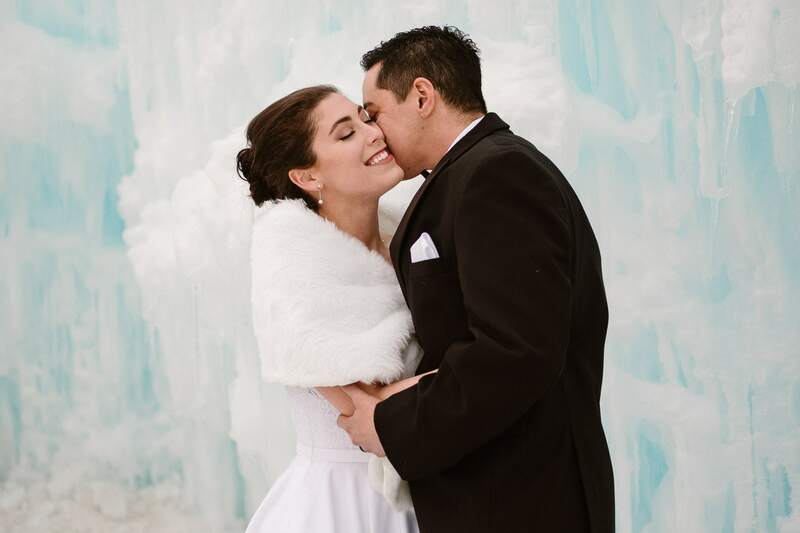 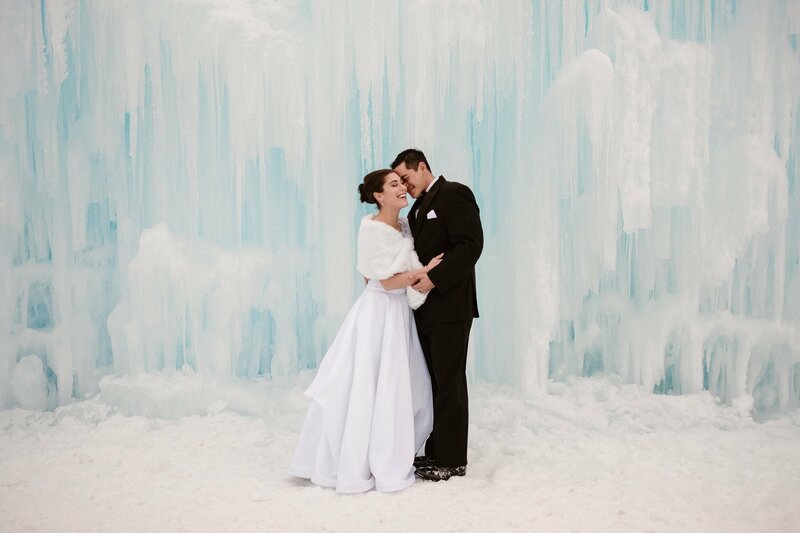 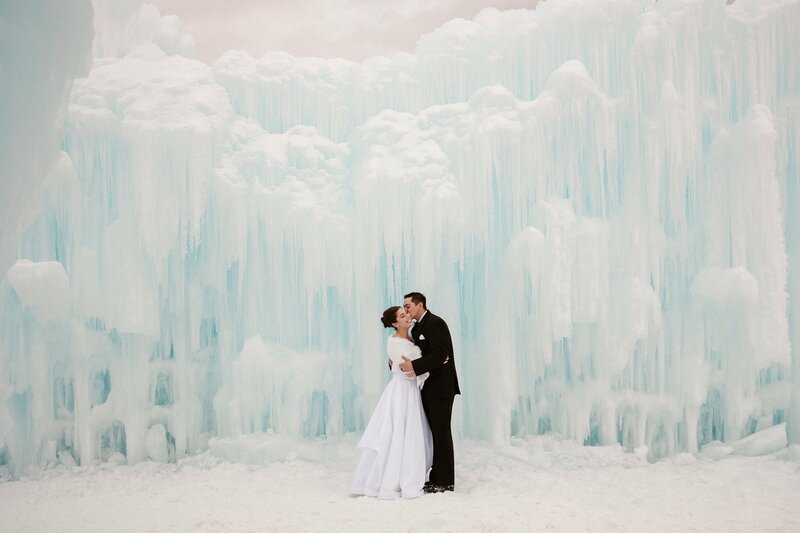 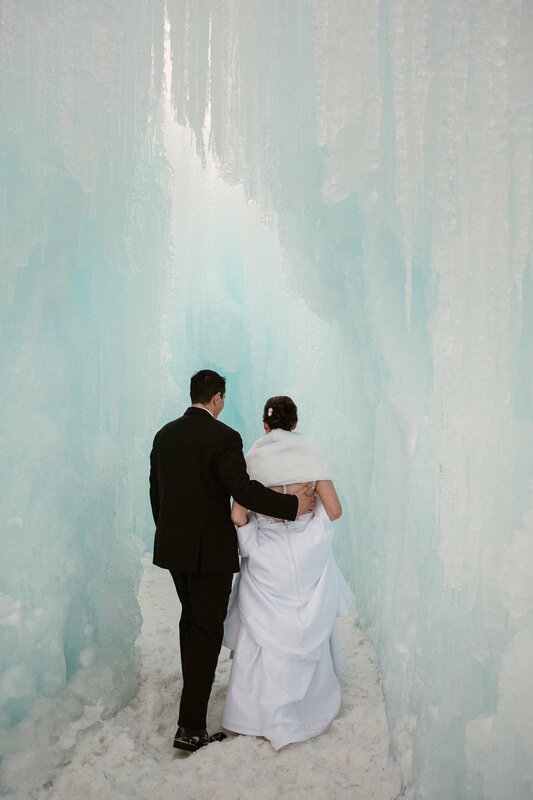 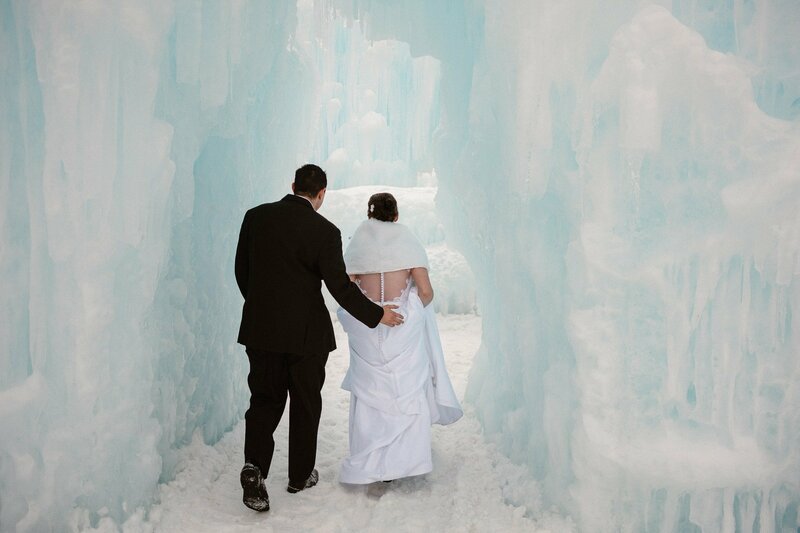 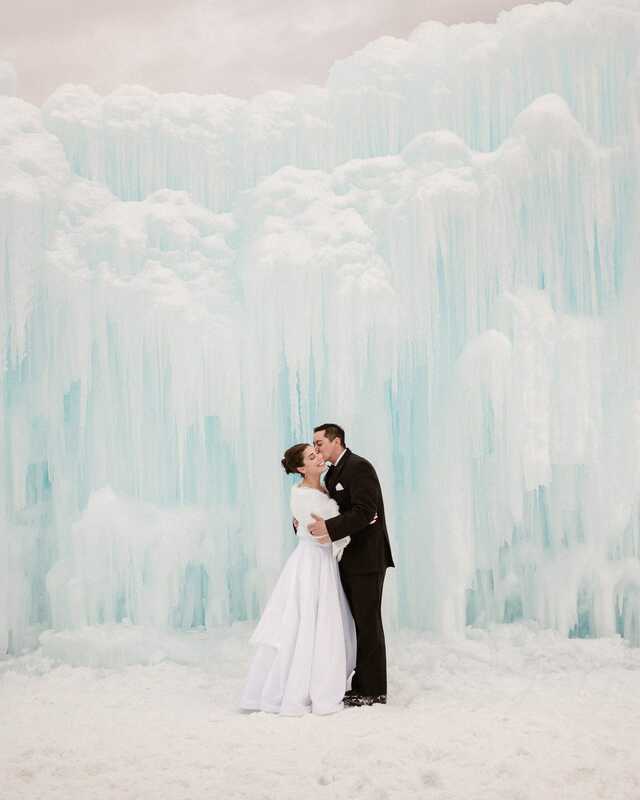 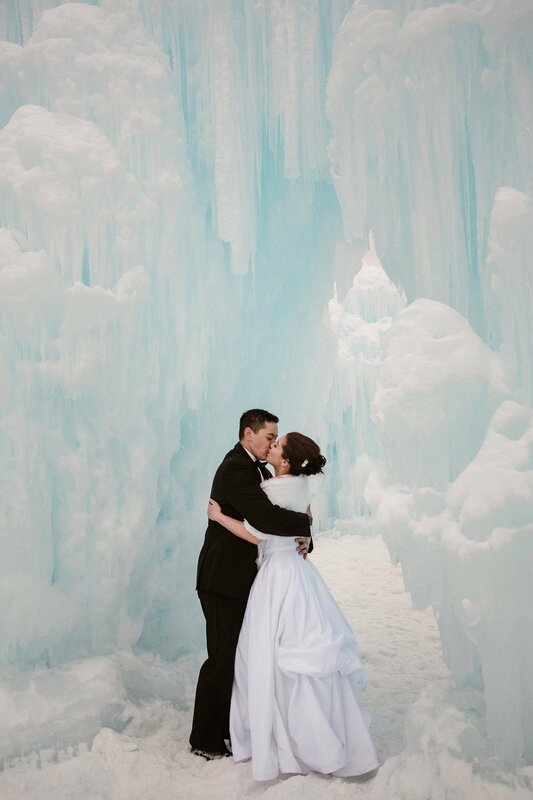 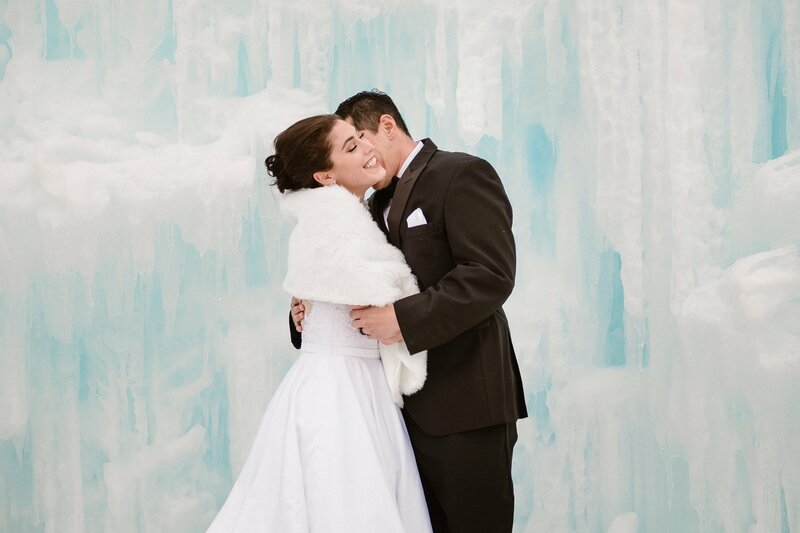 If you want to do wedding or engagement photos at the Ice Castles in Dillon, I would love to be your photographer! 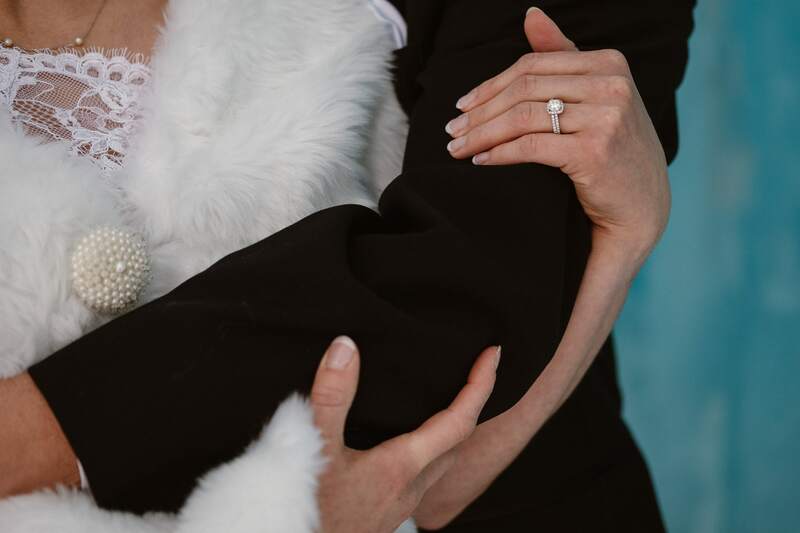 Get in touch and let’s make it happen! 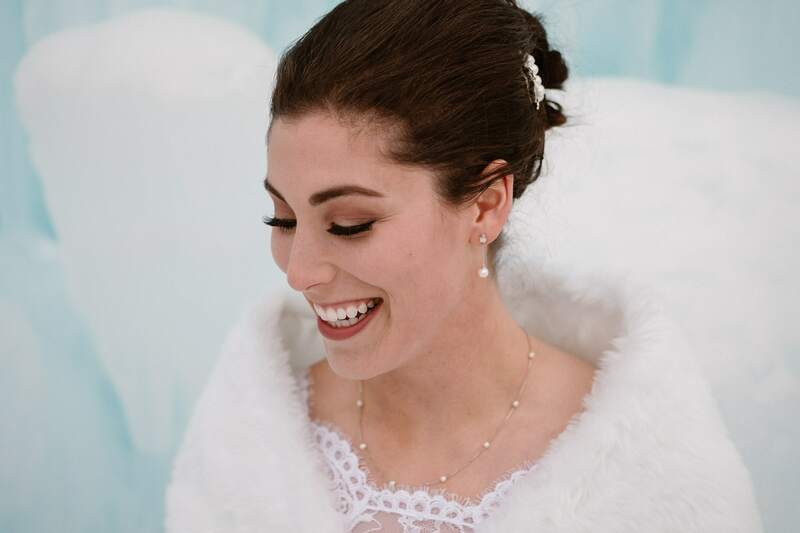 Shoutout to Beauty on Location for doing Hannah’s hair and makeup as beautifully for this shoot as they did for the actual wedding!